Christi supports and oversees a dozen teaching fellows through their year of service, leadership and personal development here at Eagle Rock. She also serves on our Professional Development Center (PDC) team. For the past 15-plus years, Christi has worked with nonprofits that challenge traditional concepts of education and youth development. Prior to rejoining the Eagle Rock team (she was a fellow in 2008-9), Christi was the program director of quality improvement at Family League of Baltimore, where she oversaw the quality, implementation, evaluation and tracking of professional development and technical assistance for community schools in Baltimore. 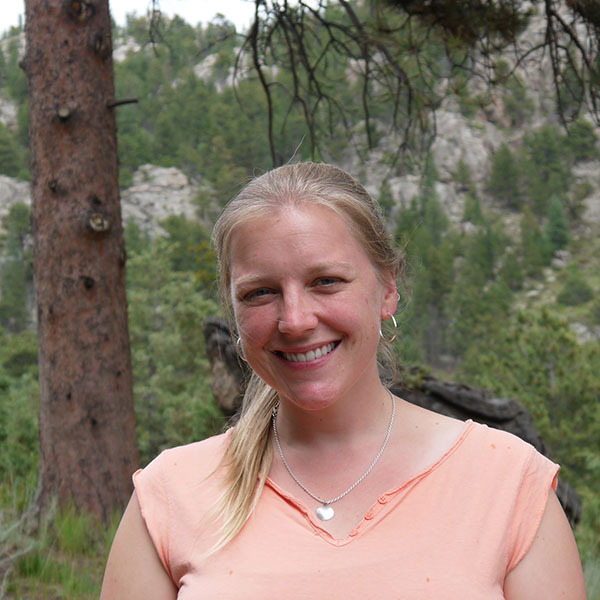 Christi’s earlier professional experiences included teaching both in and out of the classroom, facilitating teambuilding and ropes course programs, and training and leading a staff of up to 50 outdoor educators. She has held academic and residential positions at a summer enrichment program for gifted students, directed a 10-week summer day camp, and served as acting executive director of Genesee Valley Outdoor Learning Center in Parkton, Md. Christi was born in Grand Rapids, Mich., then moved to a small town in North Carolina when her parents began directing a girls’ residential summer camp. From age nine to 18, Christi lived in Baltimore County, Md. She graduated from the University of Mary Washington with a Bachelor of Arts degree in creative non-fiction writing. My favorite thing about Eagle Rock is student voice in leadership and decision making.